Collaborative programs, involving training and mentoring of biomedical engineering technicians and managers, have included Australian and overseas components. FBE specialises in tailoring programs to suit the particular needs of clients. Training courses and mentoring programs can be run either at Flinders or the client’s workplace. Topics are individually structured to the client’s needs and can focus on biomedical technology, management, life sciences, occupational safety or other issues relating to the establishment or operation of biomedical engineering facilities. FBE staff provided consultancy and mentoring to Biomedical Engineering Technicians, in 2003 and 2005, through the AusAID funded Medical Equipment Management in the Pacific (MEMP) project and the Papua New Guinea Health Sector Support program. Flinders Biomedical Engineering advised the Hong Kong Electrical and Mechanical Services Department regarding a model for restructuring biomedical engineering activities throughout Hong Kong. Training was provided for visiting engineers by Flinders Biomedical Engineering and collaborating South Australian partners on medical imaging equipment in 2002. Flinders Biomedical Engineering provided a Situational Analysis of the Services of a Malaysian Biomedical Engineering company. 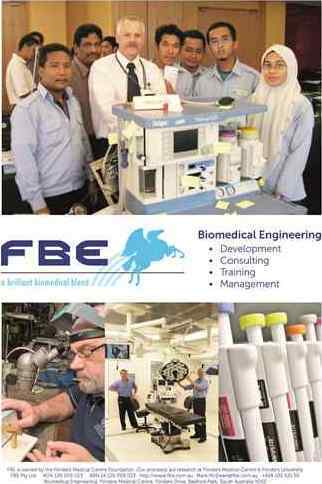 Experienced FBE staff mentored biomedical engineers and technicians on the job in Malaysia throughout 2002. Groups of Malaysian biomedical technicians received training in the theory of biomedical engineering at Flinders University and Flinders Biomedical Engineering. Training included: cardioverters, spectrophotometry, balances, water baths, laboratory incubators, laboratory analysers, centrifuges, liquid & gas chromatography, blood gas analysers, microscopes, light sources, etc. Operation and maintenance of infant incubators, phototherapy units, patient warmers, resuscitators, electrosurgical units, infusion devices, aspirators, pulse oximeters, haemodialysis machines, operating microscopes, surgical lasers, patient monitoring systems, anaesthetic machines, ventilators, non-invasive blood pressure (NIBP) devices, electrocardiographs (ECGs) and defibrillators. 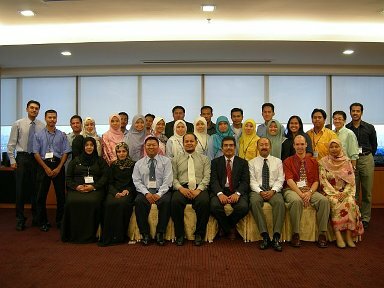 As part of a joint venture involving FBE’s client and the local branch of an international research institute, FBE trained staff and increased the capability of nine hospital biomedical engineering departments in Malaysia. As well as optimising the performance of the departments, FBE personnel trained the local staff and managers in the best practices and procedures, and gradually handed the operation of the departments to local managers and staff, over a three year period. 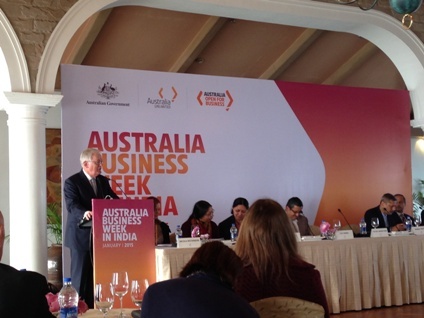 FBE participated in Australia Business Week in India (ABWI) in January 2015 in Delhi, Pune and Mumbai. This included visits to some of the major hospitals in these cities, where the hospital managers were able to discuss their biomedical engineering needs and strategy with FBE. 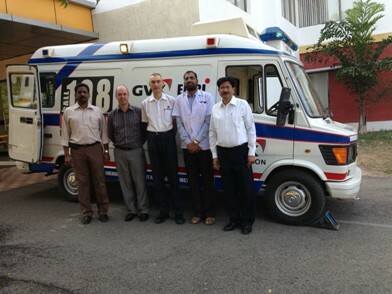 In conjunction with ABWI, FBE also visited several hospitals in Kolkata, Hyderabad and Bengaluru, to learn about the various models used to provide biomedical engineering support to hospitals in India, and identify how FBE can help to improve that support. 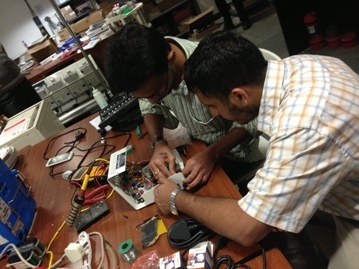 FBE is seeking continuing discussions with healthcare organisations, with a view to delivering improved biomedical engineering services in India. For further information about programs to assist biomedical engineering operations to meet industry benchmarks and become centres of excellence contact info@fbe .com.au.